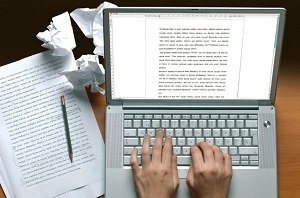 500 words essay is a three-part paper which covers the chosen topic but does not delve deeper into the details. As its main body may consist of one large, two medium, or three small paragraphs, it is important to present the main points concisely. It follows the general rules and formats of academic writing and may be of different types. The provided 500 words essay sample should exemplify how one complex issue with numerous arguments can be discussed in less than two pages. Fashion is an essential aspect of the modern society. It is inherently present in all forms of the media, it influences personal choices, and creates mainstream tendencies. Although it is believed that designers are the ones who create fashion, thus enforcing their view onto the general public, popular shifts and trends of social life have a great impact on how clothing designs are developed. Therefore, fashion is important because it affects people while people shape it in return, which creates a never-ending cycle of co-dependency. Fashion designers dictate which type of clothing is acceptable and which is not. Their choices are not based on rules, conventions, or even common sense, but rather on their personal vision and inspiration. As this vision is promoted through the media, people come to believe that they have to wear particular clothes and accessories in order to lead successful social lives. In this way, a few creators decide what the majority of people in communities and whole countries are going to wear in the near future. It does not matter whether new fashion trends correspond to individual tastes and preferences, so it is often the case when one willingly wears something uncomfortable or unsuitable only because popular clothing designers and brands invented it. To wear something else is to stand out and attract negative attention, and not all people are ready for these unfavorable consequences. As a result, societies are shaped by local and global fashion trends, for they gradually accept the enforced perceptions of attractiveness and beauty. These perceptions inevitably influence other aspects of social life, such as communication, stereotypical thinking, and social labels. On the other hand, fashion designers have to draw their inspiration from already popular social trends in order to succeed. For example, it is often the case when they use concepts from pop culture and implement them in clothing design. This is done to make a new trend appealing, for if the general public connects it to something which has already gained recognition, the number of sales is bound to increase. The application of this basic marketing principle allows people to influence fashion instead of being nothing more than its mindless followers. If the resulting clothing trend is uncomfortable or even scandalous, fashion designers are not the only ones to blame. Whether people realize it or not, their current everyday choices may predict what they are going to wear next season. All in all, it is impossible to deny the importance of fashion when it evidently creates the connection between trends and people. On the one hand, it may dictate us what we should wear, initiate prejudice, and reconstruct popular perception of beauty, thus demonstrating the power of its impact. On the other hand, common social choices and tendencies inevitably influence fashion trends because designers aim to use already popular ideas in their original clothing lines. Therefore, it may be said that fashion is more than clothes and accessories because it is one of the most fundamental elements of human society. Bancroft, A. (2012). Fashion and psychoanalysis: Styling the self. London: I.B. Tauris. Brown, S. (2012). Fashion: The definitive history of costume and style. New York, NY: DK Publishing. Lemire, B. (2010). The force of fashion in politics and society: Global perspectives from early modern to contemporary times. Farnham, Surrey, England: Ashgate Pub. Pundir, N. (2007). Fashion technology: Today and tomorrow. New Delhi: Mittal Publications. Svendsen, L. (2006). Fashion: A philosophy. London: Reaktion.